The Leigh Creek Railway is owned by the South Australian Government and was leased to Flinders Power in 2000 when Flinders was privatised. On 31 July 2017, the Leigh Creek Railway was handed back to its owner, the South Australian Government’s Department of Planning, Transport and Infrastructure (DPTI). The railway line extends a length of 250km and consists of approximately 400,000 predominately timber sleepers and continually welded 47kg rail. The first rail operations can be dated back to the early 1950’s, to provide a fuel supply for Playford Power Station. The final coal train operated by Pacific National arrived at the Augusta Power Stations on 27 April 2016. 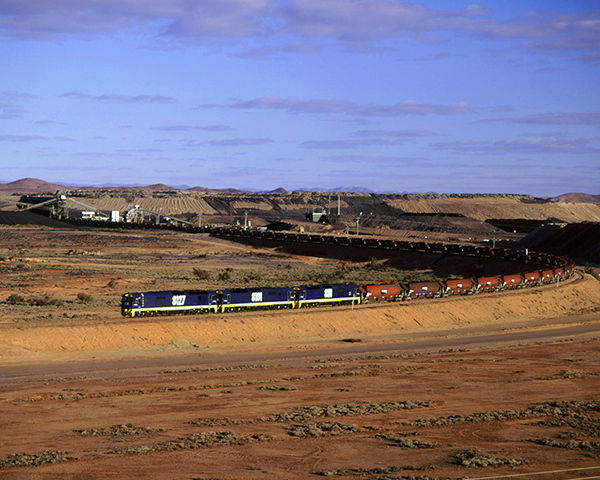 Since Flinders was privatised in 2000, an average of 3 million tonnes of coal was hauled per annum with maximum of 4.1million tonnes hauled in 2007. Please direct any enquiries related to the Leigh Creek Railway to the Department of Planning, Transport and Infrastructure (DPTI).